This command is used to create a list that matches packets on a given criteria. While access-lists are most commonly associated with security, there are numerous uses. Standard lists match on source addresses only. <permit> Permits all matches specified in the list. <deny> Denies all matches specified in the list. 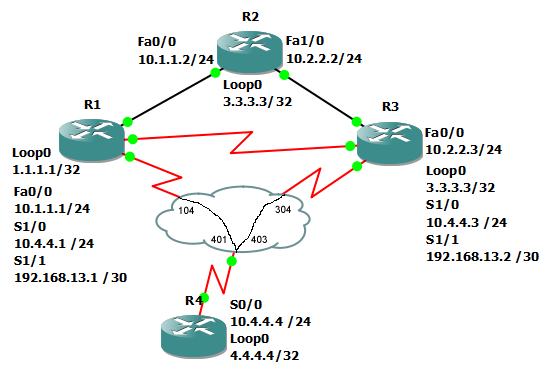 <source address> Host ip address that sources packets matched by the list. <source network> IP network that sourced packets matched by the list. Uses Wildcard masks for matching. Wildcard masks are how access-lists know what networks apply to the list. They are the inverse of the subnet mask. For example, network 123.123.123.0 0.0.0.255 would match any ip address in the 123.123.123.0/24 network. Notice how the subnet mask and the inverse add to 255. In this example, we will make an access-list that will only allow packets sourced by the host 1.1.1.1 and apply the list to R2’s Fa0/0. Pinging 10.1.1.2 from R1, we see that the ping fails unless it is sourced from R1’s loopback0 interface. Notice that only 1.1.1.1 is denied.